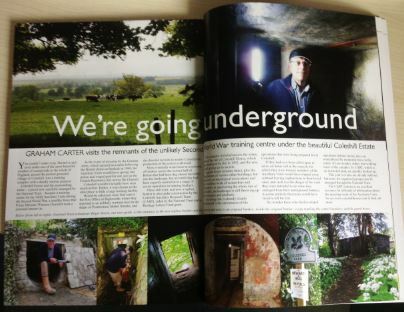 This month Graham Carter from Swindon Heritage Magazine has written a great article about Coleshill and the Swindon connection to Auxiliary Units. The two page spread features images of the new replica Operational Base at Coleshill and Graham was guided around by dedicated National Trust researcher Roger Green. A hard copy of the article can be seen here.